After Faye is attacked by the Witch Hunters, Jake, Melissa and Adam set out to save her. Blackwell tells Cassie and Diana that the only way to stop the Witch Hunters is to use their Balcoin blood to unleash the Crystal Skull. Diana is reluctant, but Cassie convinces her it’s the only way to help their friend, but she’ll need to tap into her dark magic to do it. Meanwhile, Dawn and Charles are faced with a new way to get their power back...but at a very big cost. To protect themselves from the witch hunters, Jake, Cassie and Faye seek out Jake’s grandfather Royce, to find his family’s crystal and are confronted with disturbing theories about the events of sixteen years ago. Meanwhile, Diana tries to balance her pursuit of the Glaser crystal with Melissa and Adam with her romantic life with Grant, who demands to know what she’s hiding. At the same time, Callum attempts to re-insert himself into Melissa’s life. Charles and Jane plot their move against Blackwell. Cassie and Jake look into her father's side of the family, hoping to discover more about her lineage and why she has powers separate from the Circle. 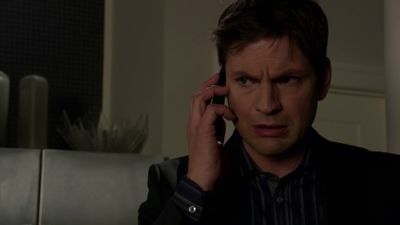 Meanwhile, Adam becomes protective of Cassie when Faye reveals that Jake might be hiding something dangerous from them. At the same time, Adam's equally concerned when Melissa's cousin Holden comes to town and catches Diana's eye. 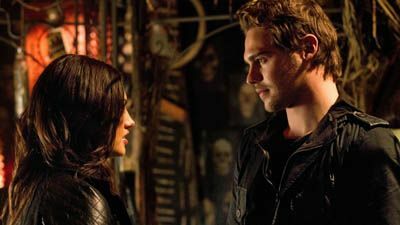 A power shift forms between Charles and Dawn that threatens to destroy their plan. Jake gets a surprise visit from an old acquaintance named Samuel, a witch hunter, who has a message for Blackwell about Eben’s surprising next move. Cassie intervenes, forces Samuel to reveal his news and is stunned to find out what Eben is trying to resurrect. Meanwhile, Diana is frustrated that keeping the secrets of who they are is building a barrier between her and Grant. Faye and Melissa agree to help out Adam at the Boathouse and in return get him to help them use their magic to enhance their love life. 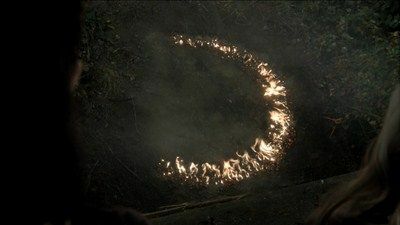 Cassie enlists the Circle's help when she receives a frightening warning about the witch hunters' return. At the same time, her true feelings for Adam and Jake surface during a birthday party that Ethan decides to throw with the help of Diana. Meanwhile, Faye and Melissa take their inner power to a chilling new level when they try a little of Lee's "Devil's Spirit." Torn between her loyalties to the Circle and her family, Cassie wrestles with the secrets she must keep from her grandmother. 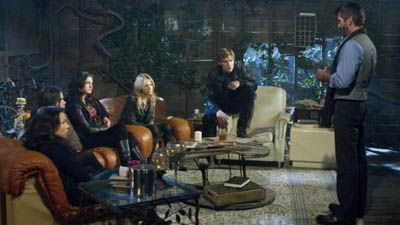 Nick is thrown for a loop when Melissa adopts a new attitude and enlists his help to track down her family's Book of Shadows. Faye is also recruited but isn’t happy about being the third wheel. Meanwhile, Diana is craving some alone time with Adam and arranges a date night so they can rekindle the spark in their relationship, but all six of them are brought together to fight off a dark force that threatens to destroy the Circle from within. Completely unaware of the new danger encroaching on their children, Dawn joins Charles aboard his boat to further their plans for the Circle, but is surprised to find that Charles may have more than business on his mind. It’s Prom night in Chance Harbor and after Adam uncloaks a crystal hidden in the school, Blackwell tells Cassie she can use her dark magic to find it. When Cassie follows this advice, it leads her to a dangerous discovery. 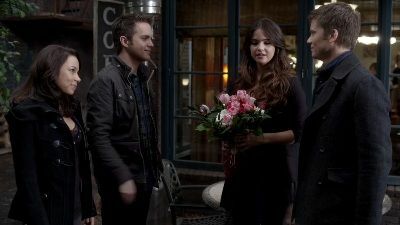 Meanwhile, Faye invites Jake to Prom, despite the fact that he stood her up two years earlier. Adam, Diana, Cassie and Melissa finally make it to Prom but when they lose the crystal to Eben, they end up in a life and death situation. Meanwhile, Dawn attempts to stop Blackwell, who casts a deadly spell on Charles. After not hearing from her grandmother for a couple of days, Cassie becomes concerned and wants to go look for her. Diana decides the entire Circle should go in case Jane is in trouble. She also invites Jake along, much to Adam's dismay. A storm turns the day trip into an overnight excursion, so Faye suggests a little game of Truth or Dare to liven up the evening. However, things take a horrible turn when Faye is forced to reckon with someone from her past. 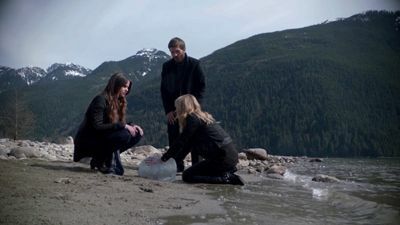 Jake returns to Chance Harbor to warn Cassie that unless they find out how her father was killed in the boat fire 16 years ago, she'll meet with the same death. He suggests an extremely dangerous method to finally uncover what happened on that fateful day, but Adam and Diana suspect he has ulterior motives. In an effort to usurp the other, both Charles and Dawn try to get Ethan on board as an ally. Faye gets trapped in a dangerous situation when one of Lee’s friends, Callum stops by the shop. Cassie is stunned when a notoriously evil figure from her past shows up on her doorstep. However, her surprise quickly turns to suspicion when he asks her to return the medallion she found in the wreckage of the fire that killed their parents. Cassie storms off but is captured by Eben and his band of witch hunters.. Jake offers to trade himself for Cassie’s freedom and when Adam realizes they’re in trouble he calls the Circle. Meanwhile, Faye and Diana are concerned when Melissa starts spending more time with Callum. Blackwell warns Cassie and Adam that their love may be destiny, but it’s also a curse. He suggests they go visit her grandmother, Jane to find out if there is a spell to reverse it. 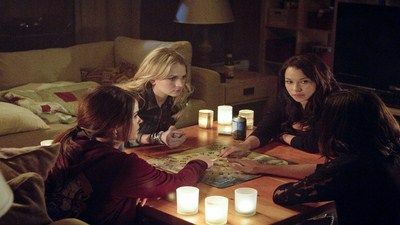 Jane warns Cassie that someone in the Circle will die if the curse is awakened. Meanwhile, Eva starts stalking Faye and Charles makes his next move against Blackwell. When a crystal is magically stolen from the abandoned house, the Circle decides it was the traitor witch working with Eben so Jake calls for a meeting with Isaac to see if they can get him to change sides. Cassie’s loose grasp on her dark magic threatens to destroy any possible alliance when their pursuit of the traitor leads them to the “Creepiest Place on Earth.” Meanwhile, Faye and Jake work together to steal Dawn’s crystal, Melissa and Adam pair up and uncover a new magic trick. Meanwhile, a frustrated Diana reaches out to Charles for help. In honor of the holiday, Faye and Melissa throw a girls only anti-Valentine’s Day slumber party for themselves and fellow witches Diana and Cassie. But the night gets wilder than expected when Melissa offers Diana some mood altering “Devil’s Spirit” and the first person Diana loosens up around is Lee, who crashes the party to help Faye achieve her own power. 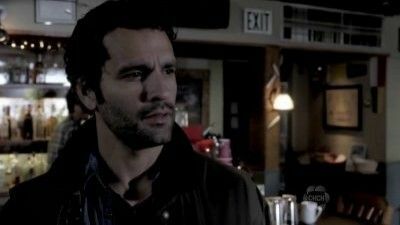 Meanwhile, Cassie is forced to turn to Adam and Jake after she becomes haunted by the spirits of some vengeful witches. Cassie turns to Adam when she uncovers a secret about herself that she needs kept from the rest of the Circle, including Diana. Meanwhile, Diana is thrilled when her grandmother Kate drops in for a visit, but Charles is suspicious of his mother’s motives after Kate takes an unusual interest in Cassie. Meanwhile, Faye recruits a mysterious stranger named Lee to help her with a spell that could change the balance of the Circle forever. Cassie asks Adam for help when she wants to look into her father's past, and their search leads them to an eerily familiar place. It also rekindles an old flame when Adam, thrilled to be spending time with Cassie again, asks her to the Fire and Ice dance. But because of her friendship with Diana Cassie is forced to give a surprising response. In an effort to be a better father, Ethan offers to chaperone the dance, much to Adam's dismay. Faye asks Lee to help her with a spell that would grant her individual magic. Unfortunately, the spell has some terrifying side effects that nearly destroy the Circle. 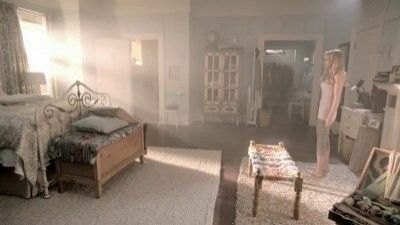 Cassie looks up an old friend of her mother's named Heather Barnes and discovers she has been in a catatonic state since the night of the fire 16 years ago. Feeling guilty that her mother and her Circle may have had something to do with Heather's current state, Cassie tells Diana that she wants to use magic to help Heather. Diana refuses to help, but Faye is more than happy to conjure up a spell - for a price. Cassie catches Blackwell sneaking around the abandoned house. After confiding in Adam, he tells her he knows Blackwell was looking for a device to drain witches’ powers and clearly back to his old ways. Faye shows up at Lee’s house to invite him to the school fundraiser, but is taken aback when Eva greets her at the door claiming to be Lee’s girlfriend. Meanwhile, Melissa encourages Diana to date a normal guy and points her in the direction of a new, handsome guy in town. Dawn runs into Blackwell at the school but the reunion isn’t quite what she expected. Cassie Blake's world is turned upside down after her mother dies in a mysterious accident, forcing Cassie to move in with her loving grandmother Jane in the small town of Chance Harbor, Washington. While trying to adjust to her new life, Cassie is quickly befriended by Diana Meade, a sweet-natured classmate who offers to show her around and introduces her to mean-girl Faye, her sidekick Melissa and Cassie's next door neighbor Nick. Things get complicated when she meets Adam, Diana's boyfriend, with whom she feels an instant and powerful connection. Upon meeting one of her mother's childhood friends, Dawn Chamberlain, the school principal and Faye's mother, Cassie begins to wonder why her mother never spoke of her hometown. When strange and dangerous things begin to happen, Cassie's new friends are forced to tell her their secret - they are all witches and her arrival will complete the Circle. However, the Circle has not been drawn together again by chance - Diana's father, Charles Meade has plans of his own for the group. When Jake, a mysterious young man, shows up in Chance Harbor, he learns a lot has changed since his last visit. For one, the girl he left behind, Faye has discovered she's a witch and has plans to get even with the handsome guy who broke her heart. To complicate things further, he sets his sights on the alluring Cassie, much to Adam and Faye's dismay. In an effort to distance herself from the Circle and establish a normal teenage life in Chance Harbor, Cassie befriends Sally Matthews, a non-witch. Concerned their powers are getting out of control, Diana pushes everyone to bind the Circle, but Faye is thrilled with the increase in her powers and refuses to participate, while Melissa flirts with Nick despite Faye's warnings. Meanwhile, Adam fights his growing feelings for Cassie, but circumstances continue to throw them together, forcing Cassie to make a decision. A cute jock named Luke asks Cassie to the school dance, and after watching Adam spend time with Diana at the boathouse, she accepts his offer. Meanwhile, Melissa sees the dance as an opportunity to get closer to Nick. Faye, on the other hand, has no plans to go and remains focused on finding a way to control her powers. Dawn discovers someone from their past, an intense man named Zachary, is in town asking questions about the Cassie and the Circle, so she asks Charles to keep an eye on him.